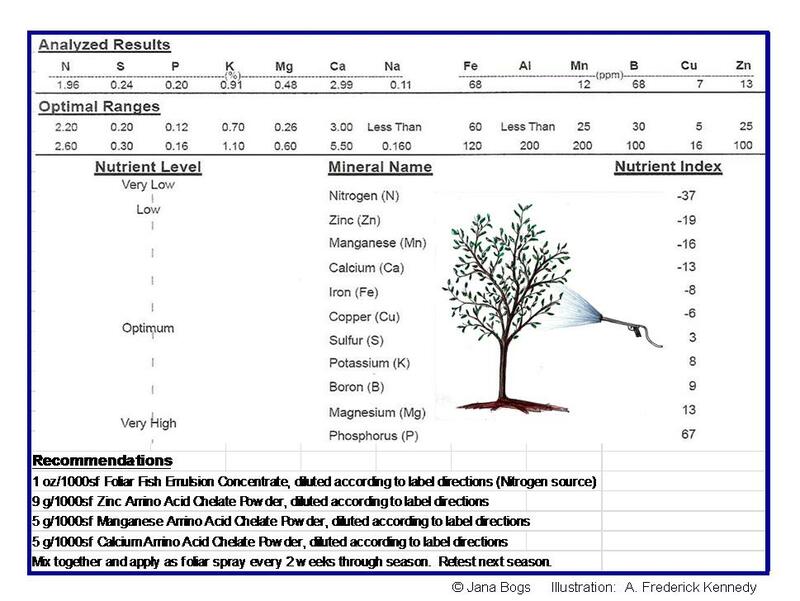 This analysis is a laboratory procedure which determines the mineral content of a plant. It will reveal deficiencies and excesses so that an appropriate foliar spray can be designed to supply nutrients immediately to the plant. The plant can absorb nutrients directly through its leaf stomata. Foliar feeding is almost like giving an I.V. solution to the plant! Foliar feeding doesn’t take the place of soil balancing, but it can be a short-term solution while you are working on improving your soil. Even after balancing the soil, foliar feeding can be used to maximize quality food production. Done correctly, foliar feeding can improve the nutrient density, flavor and shelf life of your crops. By giving the plants the nutrition they need, disease problems decrease and crop yields increase. A comprehensive leaf tissue analysis includes Calcium, Magnesium, Potassium, Sodium, Sulfur, Phosphorus, Boron, Iron, Manganese, Copper, Zinc and Nitrogen. Once plant nutrient deficiencies have been determined, a foliar spray recipe is custom formulated. These nutrient sprays are very easy to apply with an inexpensive sprayer. If you would like to have plant tissue analyses performed, you’ll need to order an analysis for each plant variety because their needs will differ. The initial leaf tissue analysis with interpretation and specific recommendations for a foliar spray mix is $100. Additional leaf tissue analyses ordered at the same time are $75 each. You’ll be sent a leaf tissue analysis worksheet (with instructions) to fill out and send to the lab with your leaf tissue samples. 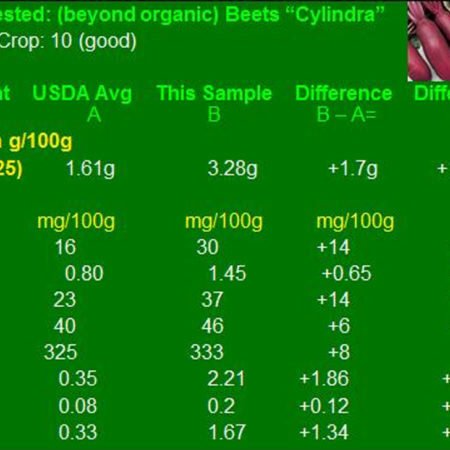 Dr. Bogs will interpret the raw lab numbers and send you recommendations for foliar feeding. Soon you’ll have happy plants and the best food ever! Disclaimer: Any recommendations provided by Beyond Organic Consulting, Inc./Dr. Jana Bogs are advice only. As no control can be exercised over storage, handling, mixing application or use, or weather, plant or soil conditions before, during or after application (all of which may affect the performance of our program), no responsibility for, or liability for any failure in performance, losses, damages, or injuries (consequential or otherwise), arising from such storage, mixing, application, or use will be accepted under any circumstances whatsoever. The buyer assumes all responsibility for the use of any of our products.